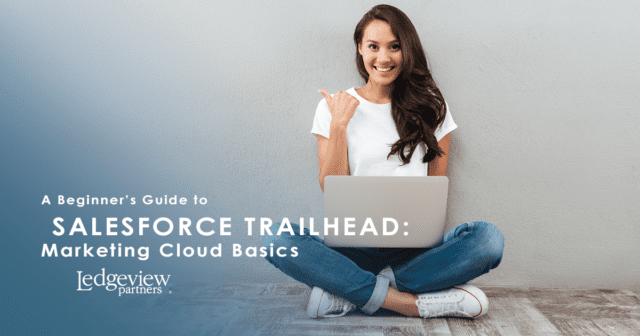 As I navigated into Trailhead this week, I decided to select the “Marketing Cloud Basics” module to discover the true power of Salesforce’s suite of products. The headline really grabbed me: “start building your digital marketing strategy”. Of course, though we already have one of our own at Ledgeview, as a marketer, I feel it’s always great to learn more. Whatever career you’re in, or industry you are a part of, there are always opportunities to grow and learn, and they must be seized for improvement. What’s different isn’t always better or worse, but, in my opinion, new insight into digital marketing can help you reshape and rethink your strategy to better your practices, or, at least refine them. Plus, there is a certain magic in combining technical knowledge with process knowledge that just shines. The first segment, “Get Started with Marketing Cloud”, reintroduces you to the world’s fourth industrial revolution, where “the power of artificial intelligence, robotics, and the Internet of Things (IoT) are transforming the customer experience”, as Trailhead so eloquently puts it. If you didn’t already know it, let me be the first to remind you that you are a part of the fourth industrial revolution right now! I wish I would’ve started with this module as I began to learn about Marketing Cloud. 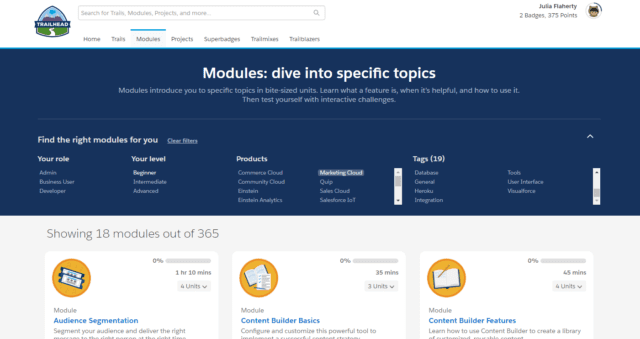 If you’re new to Trailhead and are focusing on marketing modules as well, I recommend starting with this one before jumping into the others. For those that don’t understand, Trailhead does a good job of teaching or reviewing the fact that it’s not just about marketing anymore, but providing an interactive experience for your customers, among other keys, almost 24 hours per day through a variety of channels. What with the average consumer spending 4 hours per day on their devices, they need constant stimulation, and you need an abundance of resources and distribution methods to survive as a brand. Marketing Cloud is the world’s #1 marketing platform for a reason, incorporating all relevant channels today, from email to web to mobile to social and digital advertising, offering complete personalization. Marketing Cloud is all about the customer journey, because, without our customers, where would we be, right? 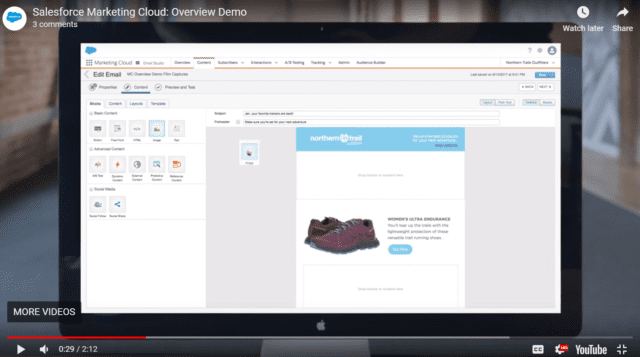 Marketing Cloud incorporates email, mobile, advertising, and social studio — everything really is in one place! But, don’t just watch the demo on the Web. Make the time to go through the module so you truly understand it and how you can individually benefit from it in your career or within your organization. Marketing Cloud is comprehensive, and that feels like I’m putting it lightly. To my knowledge, and what I’ve learned so far, it is very different than Service Cloud or Sales Cloud. My experience with this module helped me understand the possibilities that come with Marketing Cloud. I feel I have walked away with actionable takeaways to use in my daily work at Ledgeview, whether I’m using Salesforce or writing about or creating content surrounding the platform itself. This module is really about the art of the possible with Marketing Cloud, so if you’re looking for that conceptual high-level overview, I would suggest it. Though there is great detail, I am guessing, given my short experience with the platform, there is a whole lot more to discover! I’m moving along with my badges. Where are you at with them? Best of luck out there, Trailheads! 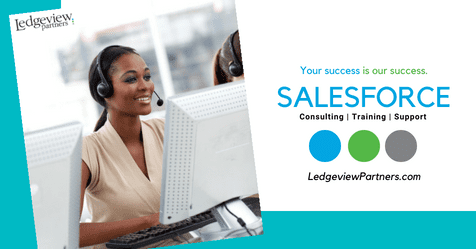 To get in contact with the certified Salesforce experts at Ledgeview who’ve walked these trails many times over, click here.